UV absorbers prevent yellowing and guard against fading and discolorationFor and instant, durable, long lasting shine. 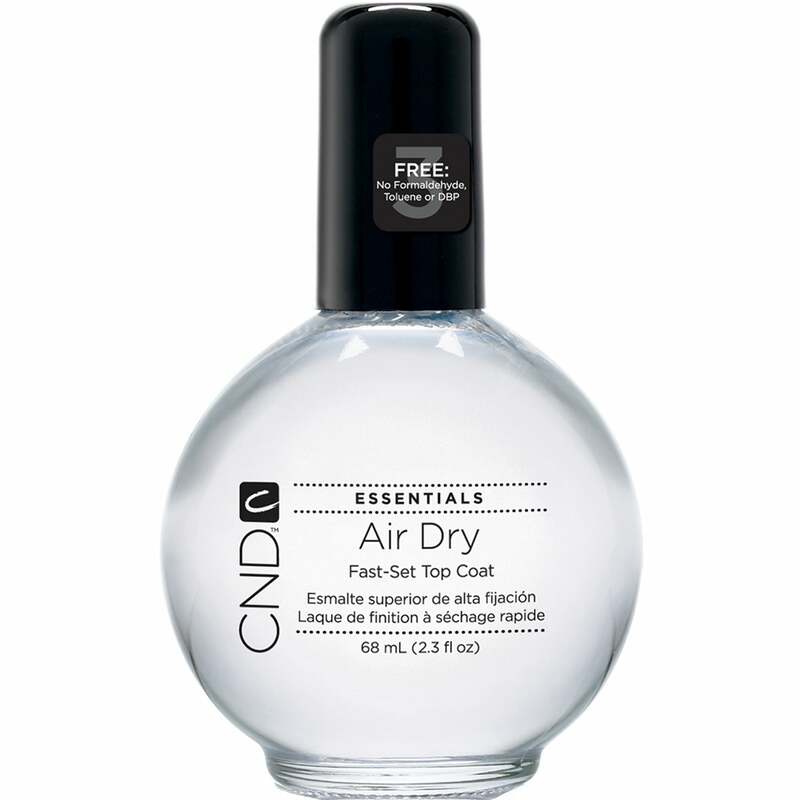 Apply a CND Basecoat followed by two coats of a CND Nail polish shade then finish with one coat of Air Dry. Review Title - Glossiness that lasts! Review - Lovely large bottle of glossiness. I haven't used CND products before, so was a little apprehensive, having used Opi for several years. However, I love the lasting glossiness of this product. And a little goes a long, long way too. Lovely large bottle of glossiness. I haven't used CND products before, so was a little apprehensive, having used Opi for several years. However, I love the lasting glossiness of this product. And a little goes a long, long way too.